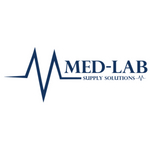 Med-Lab Supply Solutions (MLSS) offers solutions, services and supplies based on the specific needs of your Practice, Pathology Lab, or Training Facility. MLSS will warehouse the supplies you need and distribute them to your facility, or facilities, as needed. This is an invaluable service, as space can be very limited in a Practice, Path Lab or Training Center. Warehousing your products, and ordering them as needed, saves on time as well.